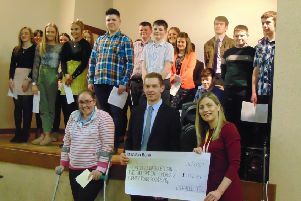 Following on from the success of previous truck and tractor runs, this year saw the most exciting road run to date, by Hillhall YFC, with the help of McCulla Ireland, in aid of The Cancer Fund for Children and club funds. Registration opened at 12 noon, in the new location of McCulla Ireland (Blaris Industrial Estate, Altona Road, Lisburn, BT27 5QB). For over 30 years the event took place just off the Hillhall Road, Lisburn. When all vehicles were ready for the run there were 89 trucks and tractors in total. With prizes, and a barbecue everyone had a superb day out.